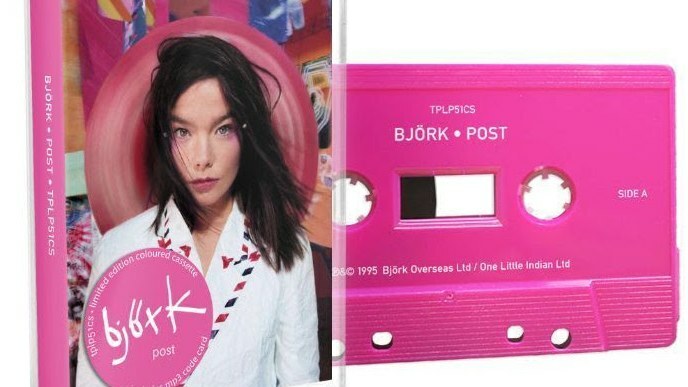 Björk will reissue her nine studio albums on multicolour cassettes. From 26th April, 'Debut', 'Post', 'Homogenic', 'Vespertine', 'Medulla', 'Volta', 'Biophilia', 'Vulnicura' and 'Utopia' will be available on limited edition cassette. Each cassette is individually priced at £8.99. They can also be purchased as a bundle for £69.99. The Icelandic polymath shared the news via Twitter. Björk announced her forthcoming spring show, Cornucopia, back in November. New research suggests that cassettes are making a gradual but significant comeback, with sales having increased tenfold between 2013 and last year. Revisit our feature exploring how cassettes are essential for electronic music here.